The cost of the diplomatic defeat of Bolivia in The Hague will be paid by the structure of the MAS and the actors involved, including Carlos de Mesa, potential leader of the opposition, according to analysts consulted by El Deber. For the political scientist Carlos Cordero, by politicizing the maritime demand, President Evo Morales linked his eventual candidacy in 2019 to a triumph in the International Court of Justice (ICJ), so by failing it will have a “high political cost”, which should even make him rethink his nomination. 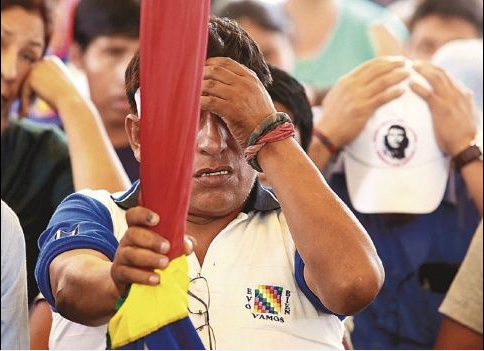 For the political scientist Franz Flores the result will affect the legitimacy and popularity of Morales, who aimed to weaken the 21-F movement after a favorable ruling. Despite this, it does not identify a political figure of the opposition that manages to capitalize on it, because De Mesa, who follows him in the polls, was also part of this process. “Nor was there a party that ruled against. They all supported Morales, even by being silent,” he said. For the political scientist Marcelo Arequipa, those who will pay the adverse result will be Morales and De Mesa; however, it played down the long-term effect, pointing out that the issue “has a one-week expiration date”. Discarded that the visible leaders of the opposition manage to capitalize on this issue; except for the marginal figures, but considered possible that generates internal disputes, because they will look for guilty ones. The militancy of the MAS rejected the ruling, while some opponents advanced that they will demand an accountability. Bolivian Thoughts opinion: We need a single, solid opposition to win next general elections in Bolivia. We need to rebuild our Republic. We cannot repeat the mistakes of Venezuela and Nicaragua. We need to have a single candidate to make sure we take out MAS, with or without evo, this president could restore our institutionality in three years and call for a new election where he/she could run again.